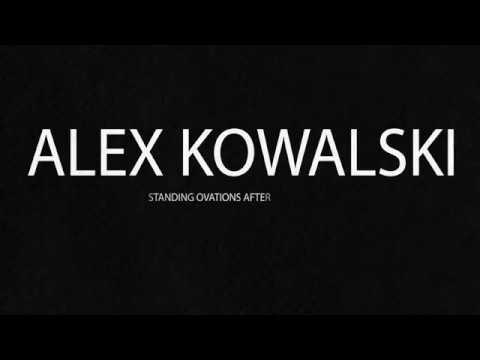 Alex KOWALSKI (Kovalenko Oleksiy) — ukrainian piano entertainer, Prize winner of several International Piano Competitions. Best known for his solo piano shows “Keys on Fire” onboard different vessels around the Globe. Was born in 1984 in Ukraine in the family of musicians. He started playing piano, when he was five years old, he performed his first recital at the age of 10; his first performance with chamber orchestra was in 1995, when he was 11 years old; with symphony orchestra – in 1997 – at the age of 13. From 1997 to 2004, Alex was studying at Donetsk Musical College, in the piano class of Ms. Victoria Medvedeva. In September 2004 he became a student of the Donetsk Musical Academy named after S. S. Prokofiev and has been studying there with Prof. Vyacheslav Boykov, Honoured Art Worker of Ukraine, very famous Ukrainian piano teacher (musical “grandson” of G. Neihaus – one of the best teachers in Moscow conservatory).Alex also made Post Graduate Course at Donetsk State Musical Academy named after S. S. Prokofiev with professor Boykov. During this time he took part in master-classes with very famous pianists from Russian Federation and the USA, Prize winners of International Piano competitions, professors: M. Voskresenskiy; E. Mechetina; A. Mndoyanc and Y. Kasman. From 2012 to 2014, he worked at the Piano Department of the Donetsk State Musical Academy as a master teacher. Since 2003 he has been performing in Ukraine, Germany, Russia, Czech Republic, Poland, Georgia, Latvia, South Korea (15 concertos with orchestras in June 2012, and 11 concertos with orchestras in June-July 2013), the United Arab Emirates, and The United States of America. At the time he works as a piano entertainer on board of different vessels around the world.